It is not rare for people to get stuck while an iOS update gets released and they start installing the newest update in their device. This time, we have come up with one of the problems that people encounter during the installation process. 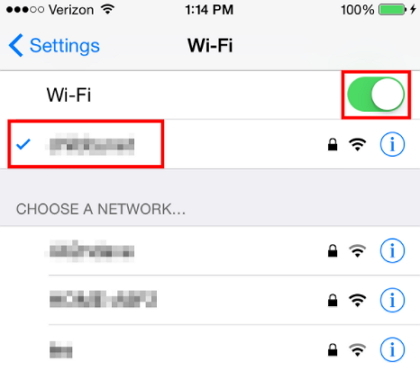 Some people find the 'Download and Install' button grayed out even their iPhones are connected to WiFi network. When they try to install the iOS 12 over the air and reach to the last option to press the button for installation, they do find no download happening and the button goes grey. Well! If you're in the same situation, don't panic anymore. We will explain you what to do when "Download and Install" button is grayed out while getting the new update iOS 12 installed. 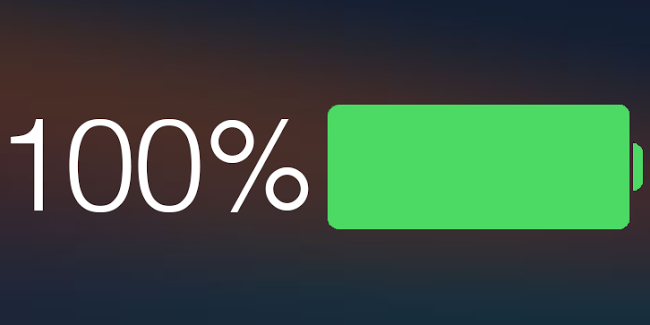 An iOS update process generally uses up more battery than any other app or process. Thus, if your device's battery is not more than 50%, then the downloading will not be supported and the "Download and Install" Button may be grayed out. Hence, we would recommend you to get your charger and give the battery digits a hike making it more than 50%. Follow this tip and check if the problem vanishes. Besides battery, any new update also takes the storage of the device. So, as the next tip, we would suggest you to check your device's storage when you are unable to get the iOS 12 because of grayed out 'Download and Install' button. 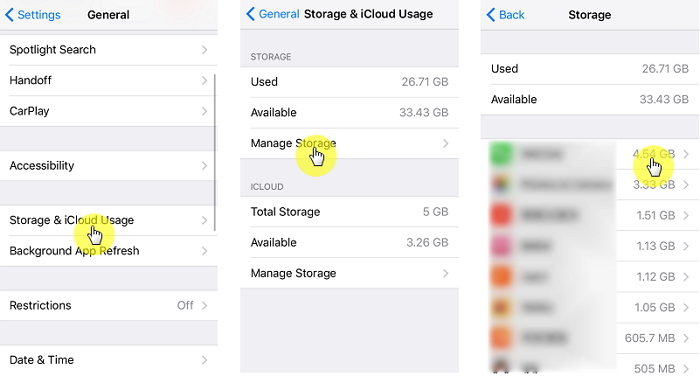 Go to 'Settings' > 'General' > 'iPhone Storage'. Check the storage and remove unnecessary stuff to make space. Perhaps the network connection you are using is raising the problem. So, here are the three suggestions of assistance for you regarding network connection issues which can be culprit for "Download and Install" button getting gray. First of all, make sure that your cellular data is giving constant connection. If not, using Wi-Fi over cellular data will be our first suggestion in order to resolve "Download and Install" button grayed out problem. In case you get the problem even after switching to Wi-Fi network, another tip that makes sense will be trying the update on another iPhone to see if the internet is the problem. If the "Download and Install" button doesn't gray out on that iPhone, there must be an issue with your iPhone. Here's the third suggestion to you i.e. resetting network settings which will remove all network settings as a result. Open 'Settings' and go to 'General'. 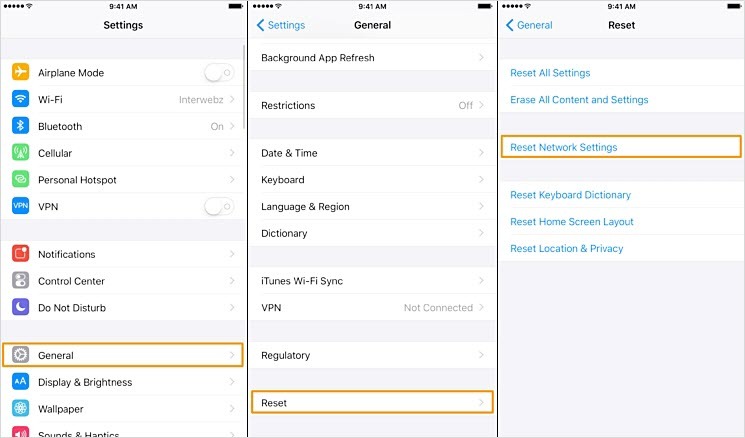 Tap on 'Reset' and select 'Reset Network Settings'. Enter passcode if asked and confirm selection. Hope now, the "Download and Install" button grayed out problems gets solved. Launch the iTunes and get your device connected with the PC. Click on the device icon on the main iTunes' screen and hit 'Summary'. Click on 'Update' or 'Check for Update' now followed by 'Download and Update' option. You will get your device updated with the latest iOS now. Here is a tip for you before updating to iOS 12——it is very important that you take a backup of your iPhone before update because even iTunes may fail to update your device sometimes. What's worse, your iPhone/iPad/iPod touch may get stuck on certain screen and you will not be able to use it anymore. To avoid data loss, we recommend that you backup your iPhone using iTunes or iCloud beofore iOS 12 update. We would like to introduce an excellent free tool that allows you to selectively backup your device. It is iMyFone iTransor (iOS 12 supported) which aims to let users make backup of their device, restore data and export data. This tool gives you the flexibility to choose whether you want to backup your device fully or partially. 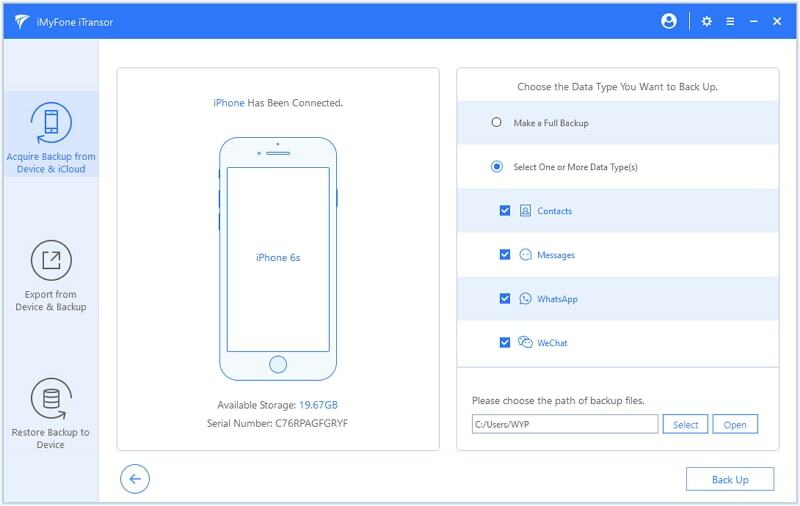 You can backup contacts, WhatsApp, WeChat, messages instead of all the data on your device. These backups can also be restored to your device without affecting the other data on your device, and they can be merged with the corresponding app data on your device. You can just download the free trial version to have a try. The free trial version also allow you preview the data in your iTunes or iCloud backup. Another tip we would like to share is what to do in case you wish to downgrade your device's iOS. For this, you can take advantage of another tool by iMyFone which is iMyFone iOS System Recovery. This is a professional tool for repairing iOS issues such as iPhone stuck on recovery mode, black/white screen, iPhone stuck on Apple logo, and so on, and also helps the users to downgrade the iOS if they want. When you take help of this program, you will downgrade the iOS in a hassle-free way. Check more details in this article.